I used to read you blog habitually, I can’t believe I ever stopped! Now I remember what got me captivated in the first place. Hi Bruce. Thanks for reading. Are you a McNiven descendant? From what I recall while researching, McNiven in Australia actually made ice cream, not cones, and the name was just a coincidence. Yes. 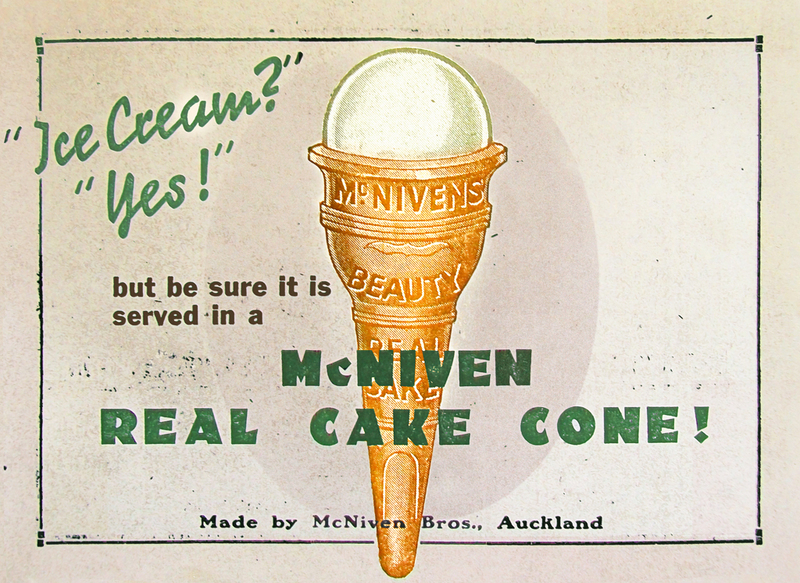 In 1959, Unilever acquired McNivens Ice Cream in Australia followed by Streets and Sennitts soon after. 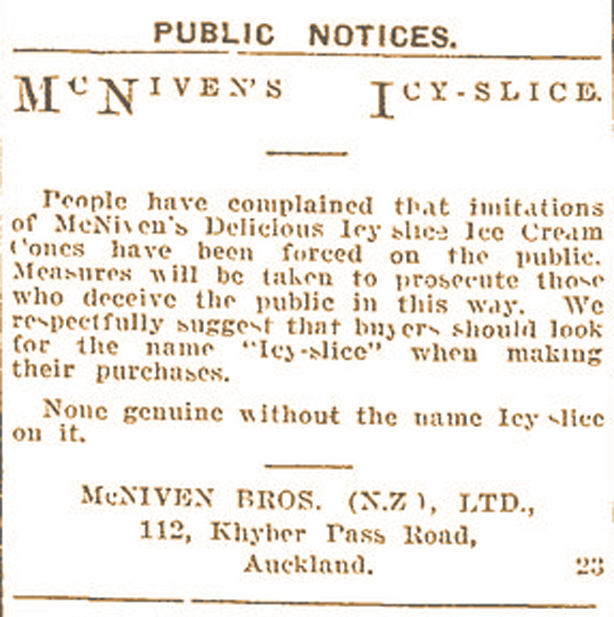 “Icy Slices” were sold in North Queensland in the 1950’s. The “wafer” was a 5 sided, open ended rectangular shape. A rectangular shaped “cutter” was plunged into the tub of ice cream and then to deliver a solid “slice” of ice cream into the wafer. This ice cream slab was pushed into the cone by a thumb operated spring return plunger. Amazing! So different now. 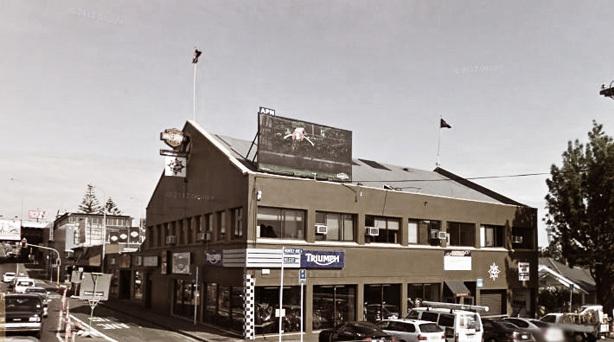 PS, your third pic caption is wrong, swap Huntly Ave and Khyber Pass.